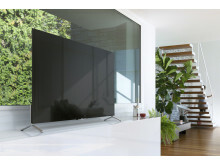 Sony takes your TV experience up a gear with the beautiful new BRAVIA™ line-up for 2015. With twelve 4K Ultra HD TVs in the series, there’s a lot to get excited about. 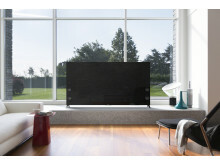 From sensational 4K picture quality that doesn’t cut corners and an effortless Smart TV user experience – combining Android TV™ with Sony’s One-Flick Entertainment - to the ultra-slim new styling and exquisite detail of High-Resolution Audio. 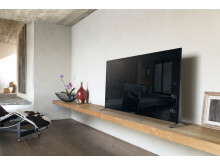 Brand new this year, Sony's powerful 4K Processor X1 brings stunning clarity to whatever you're watching – 4K content, High Definition, Standard Definition or even low-resolution internet videos. The power-packed X1 chip is key to sensational 4K picture by evolving greater clarity, brilliant colour and high contrast– with any input and whatever you’re watching. Every source is intelligently analysed to ensure the stunning detail of 4K. Both SD and HD are carefully up-scaled to near 4K quality. Whatever you watch is delivered with subtle colours and refined textures. Picture noise is reduced and contrast is dynamically enhanced for bright, sparkling highlights and rich deep blacks. 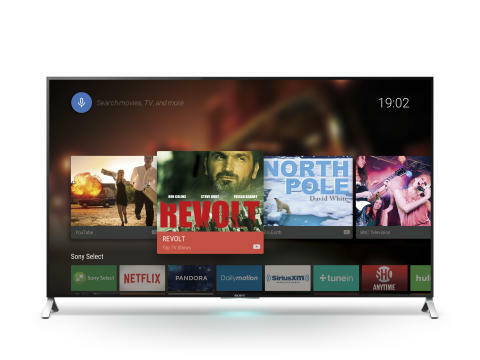 Brand new this year, Android TV makes your viewing smarter than ever. Imagine everything you love doing on your tablet or smartphone: now on the big screen. Sony Android TV brings it all to life in your living room, letting you explore a world of movies, music, photos, games, search, apps and more – all brought to you with fabulous Sony picture and sound quality. Via the built-in microphone on the touch-pad Remote, use Voice Control to search for content, ask questions and control your TV. With Google Cast™ Ready, you can easily send content from your smartphone or tablet to your TV. Fast, fun and simple. Getting the best from BRAVIA has never been easier or more relaxing with a fast, fluid new user interface that puts a world of content, apps and more right at your fingertips. 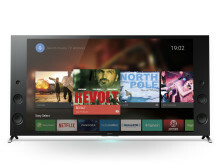 Grab the intuitive touchpad remote: One-Flick Entertainment lets you comfortably browse TV channels, internet videos, photos and other content. 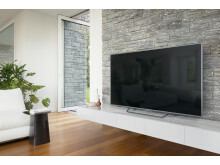 This year’s BRAVIA isn’t just smarter – the whole range is a lot slimmer too. The stunning X90C unveils a breathtakingly new “Floating Style” that’s as little as 4.9mm thin. 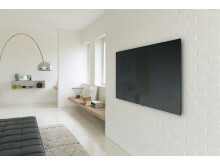 Thanks to the innovative wall-mount supplied in-box, when flush against a wall, the X90C is truly a work of art. High-Resolution Audio makes its TV debut for 2015 on the X94C and X93C. Hi-Res Audio is a premium music experience that takes you beyond CD quality. Thanks to DSEE HX, the audio of whatever you’re watching – dialogue, music and more – is automatically up-scaled to near high-resolution audio quality for a more immersive, lifelike listening experience. 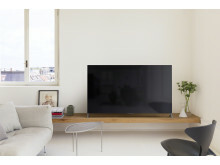 The new range of BRAVIA 4K and Full HD televisions by Sony is available in Europe from February 2015. 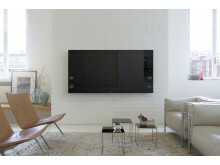 For LCD TVs 20 inches or larger. As of the time of publication.